This fascinating new book has just been published (April 2017). Fifty Defining Fixtures looks at some of the key matches in Brian Clough's incredible playing and managerial career spanning nearly four decades. It also contains some more classic quotes from the master of the one-liners as well as photographs from the archives. Fifty years ago Brian Clough was in the early days of his career as a football manager. Although a devastating injury had ended his playing career, he was establishing a reputation for his superb man-management and those brilliant one-liners. Now, for the first time, this book looks at the incredible Clough story by focussing on some of the key games along the way. 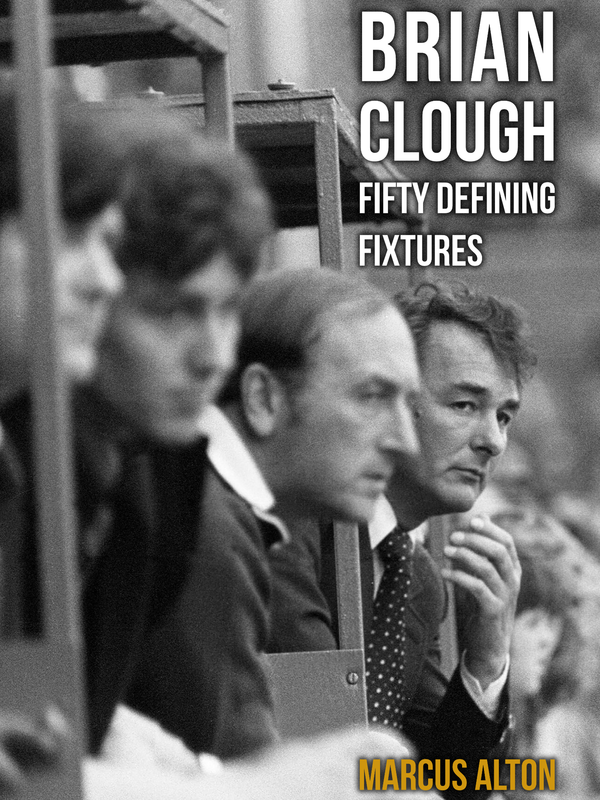 Brian Clough Fifty Defining Fixtures is the fourth book by journalist Marcus Alton, the editor of the tribute website brianclough.com. As Hartlepool boss in 1967, Clough had turned around the fortunes of the ailing club and commented: "If everyone had increased their rate of productivity as much as my players, the country wouldn't be in the financial mess it's in now." The book begins by looking back at Clough's great goalscoring record at Middlesbrough and Sunderland and his managerial debut at Hartlepool. It also features the Derby County glory years and his dramatic departure from the Baseball Ground; as well as his less successful spell at Brighton and controversial arrival at Leeds. 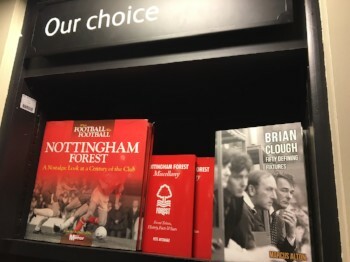 As the story continues, the book then reflects on Nottingham Forest's transformation from Second Division strugglers into European champions and Wembley winners, before Clough's emotional farewell. Said Marcus: "When the publishers asked me to focus on fifty matches, I knew it was going to be a tough task. If you remember the sentiments of Martin O'Neill at the memorial service in 2004, Cloughie would probably have felt insulted to be summed-up in 500 matches, never mind fifty." Marcus has dedicated the book to his Dad, David, who died last year. "He was so proud that I'd agreed a contract to write the book and would often ask me how it was going," said Marcus. "The book will always mean a lot to me and I think it's a very fitting tribute to Dad." Using archive reports and analysis, as well as fans' memories, Brian Clough Fifty Defining Fixtures takes a unique look at some of the matches that tell the story of the most charismatic figure football has ever known. The latest of a special Fifty Defining Fixtures series published by Amberley, the book is the fourth Cloughie book by Marcus, whose previous work is listed below. Order your copy with a special offer discount of 10%. Your book can also be personally signed. Just email us with your instructions when buying securely through Paypal (credit cards also accepted).